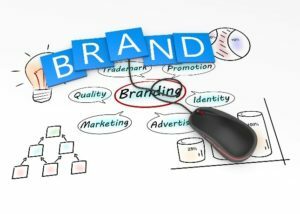 The average MSP company struggles to establish a brand identity right off the bat. It will take some time to cultivate a truly unique brand you are proud to call your own. Brands that stand the test of time are the result of a collaborative effort between employees across all departments. Focus on communication in-house and also with clients, and your brand will eventually take shape. Too many MSP company leaders assume that the only way to establish a meaningful and memorable brand is to brainstorm extensively with in-house personnel. The answer to your brand conundrum might lie outside of your organization. Give serious consideration to client feedback. Pinpoint your top brand ambassadors, pick their brains and apply what you learn when developing the strategy for your new brand. It might also make sense to pitch re-branding ideas to these top-tier clients for feedback. Keep an open mind when reviewing client responses and don’t take criticism too harshly. Try to view this as a learning experience in which your most valued customers provide insightful constructive feedback. When in doubt, think back to what your original mission was when launching your business. Take some time to reconsider whether your company is still on the path to achieving its primary objectives. It is not enough to re-commit to your original mission. Make sure every department head is on the same page. Take the time to have a sit-down meeting with each department to discuss the organization-wide push for re-branding or establishing a brand to start with. A SWOT analysis will make your brand effort that much easier. This analysis sets the foundation for rebuilding a brand that has gone stale or never got off the ground to begin with. SWOT is an acronym that stands for Strengths, Weaknesses, Opportunities, and Threats. This review is an opportunity to analyze each of these aspects of your organization. The SWOT analysis really is an unbiased view of what your organization is missing. Just be sure to involve employees from all departments to perform a truly accurate and comprehensive analysis. Orchestrate a SWAT marketing team to implement your rebranding ideas. Instead of working closely with people across the organization, limit the SWAT team to half a dozen employees or less. Allow each participant to specialize in a specific area for maximum impact. If you have any question as to whether your personnel has a clear understanding of your brand identity, clients won’t recognize your brand. It will take some time to develop a genuine brand identity. Once everyone throughout your organization is working in unison, your company will feel that much more cohesive. Protect your MSP company brand, nurture it, and your target demographic will recognize your brand in due time.